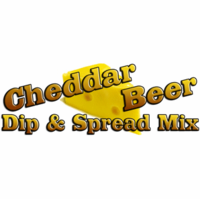 Cheddar Beer Dip Mix & Cheeseball Mix by All Mixed Up, Ltd.
Creamy, cheesy dip flavored with beer, onions, garlic and a hint of cayenne. Made with real cheese and beer! No MSG. Vegetarian.